All volunteers will be asked to maintain a professional image at all times when volunteering at the YMCA. There are several roles that are required to wear a YMCA uniform that will be provided by the YMCA at no cost to the volunteer. The YMCA offers flexible volunteer positions. You can choose how much time you would like to commit to/give as a YMCA volunteer. Whether you want to help out occasionally or on an ongoing basis, we’ll work together to find a role that meets your availability and schedule. Current YMCA members who participate in our leadership development programs may volunteer at the YMCA starting at the age of 12. Non YMCA members must be 16 years of age. For licensed child care, individuals have to be at least 18 years old. Parental consent will be required for all volunteers under the age of 18. Do I need references or a criminal reference check? Yes. On the application form, you will be asked to identify three professional references. References will be checked as part of the screening process. In addition, before you can start your volunteer placement, all volunteers (with the exception of informal volunteers (special event volunteers and those who volunteer less than 10 hours annually) are required to submit a current Criminal Reference Check. Depending on the volunteer role, a Criminal Reference Check with Vulnerable Sector Search may be required. This requirement will be explained to you at your interview. With your commitment to a volunteer role at the YMCA, we will assist you in obtaining the appropriate Criminal Reference Check. If you’re interested in a volunteer role with our YMCA, we invite you to apply today. All potential volunteers will be asked to complete a Volunteer Application Form. Print or save the form to your computer, then take the application to your local Health, Fitness and Aquatic Centre or email it directly to volunteer@niagara.ymca.ca. Your application will be reviewed for available volunteer opportunities matching your interests and skills. Due to the high volume of applications, only those being considered for a volunteer position will be contacted for an interview. There are many volunteer positions available at the YMCA for varying lengths of time, such as ongoing volunteer opportunities and one-time special event opportunities. Please see Volunteer Postings to explore the opportunities that fit your talents and interests. You don’t need any particular skills or background to help the people in our community! Volunteering is about sharing your skills with others and developing new ones! We appreciate the contributions of all of our volunteers. 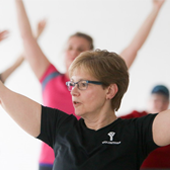 No, you do not need to be a YMCA member to volunteer with the YMCA of Niagara. We welcome and encourage YMCA members and non-members to get connected to their community through volunteering. If a Health, Fitness and Aquatics volunteer is a non-member and therefore does not have membership privileges, access to the facility will need to be arranged with the centre on the day of volunteering. YMCA memberships are not provided to volunteers.